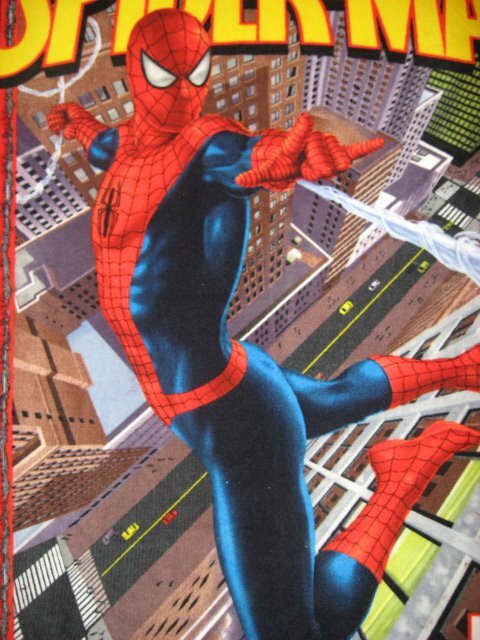 Spiderman Fleece fabric blanket Measures approximately 48"X59" wide. Single thickness. Same picture on both sides except for the word which is in mirror vision on the backside. Great size for a child or adult to cuddle in. So soft and comfy! 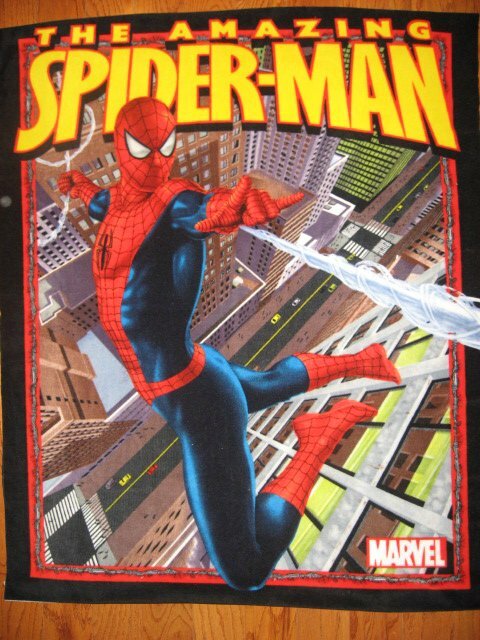 Great Gift For your favorite Spiderman fan!